Lightweight sensual cotton/rayon knit short sleeve long nightgown in Plus sizes and Missy sizes. Very soft and comfortable. It has pretty pin tucked pleats at the top to add a feminine touch. The fabric is soft and feels great and does not pill. You may click on the photo to see it larger. 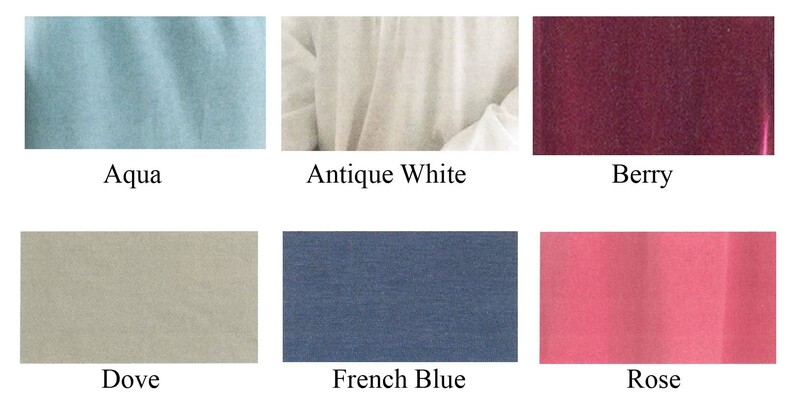 Modal is a naturally sourced soft, breathable, cellulosic fiber making it excellent for nightwear. This will be her "go to" nightgown for comfortable every night wear and for traveling. Pretty and elegance and comfort all in one lovely nightgown. Please see the size chart below for sizing.